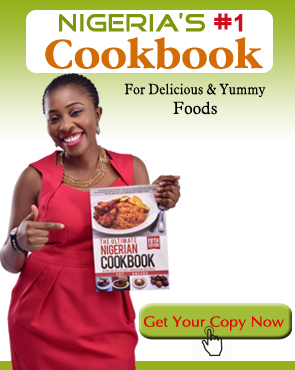 Fried rice is one of the most popular Nigerian food and this recipe shows you how to easily make it. 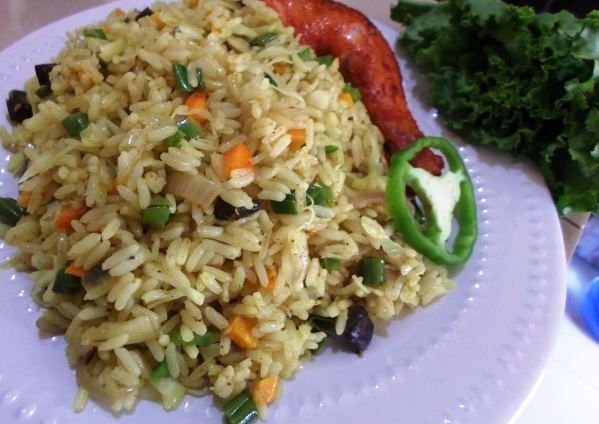 Rice is a very popular food in Nigeria, it would most likely come first on the list of foods eaten in Nigeria and foods loved by Nigerians. I got a question this morning about how to make fried rice for twenty person or rather the amount of ingredients required for making fried rice that would serve about twenty persons. So I am editing this page to suit that purpose and also answer such questions that would come up in the future. The following ingredients would serve about five persons with a little left-over, so you can multiply the ingredients by two if you are preparing fried rice for ten persons. First, the meat should be parboiled with Meat ingredient(salt, onion, maggi, curry, thyme, chicken spice), then pick out the meat from the water and keep aside for frying (when it is tender enough for consumption). Note: While parboiling the meat, you may add water and don’t allow the water to get dried. Separate the meat from the water and deep fry the meat in groundnut/vegetable oil, then divide the water into two, use half(add water) to cook the rice to (70% done) and set aside the remaining (meat) water. The making of fried rice takes a lot of time and many hands are required. Get the onions chopped as well as the liver, carrot, cabbage, green beans and set aside. What takes time is the preparation and not the actual cooking of fried rice. set your pot on heat, add about 150ml of groundnut oil(the one used for frying the meat would do) allow to heat then add onion, stir for 1 minute, add carrot and green beans simultaneously, stir and fry for 1 to 2 minutes. Add curry (curry is a yellowish spice that actually gives the fried rice it’s yellowish color) stir then add the chopped cabbage, stir. At this point, a mixture of yellowish carrot, cabbage, green beans will be visible. Add the chopped liver then the remaining meat(water), add the green pepper, Add and salt to taste( it would be fine if the salt is of access a bit as the rice will absorb some), add maggi (spice) and thyme (optional), you may also add ground pepper if you want. 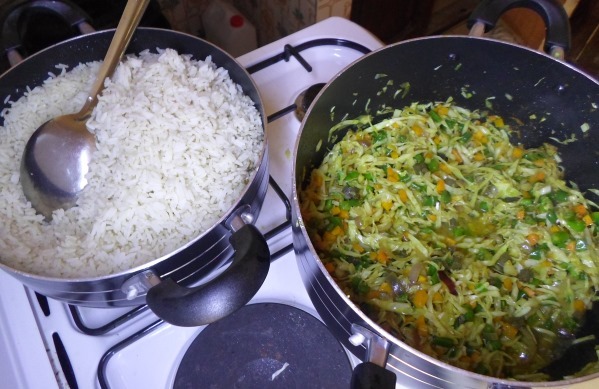 If the taste seem very nice to you, then add the rice, stir evenly, cover and cook for another 5 minute. Now, that is how to cook fried rice. you will have something like the images below. made with world class equipment, all for you! Following the procedures, I ended up having a delicious fried rice.